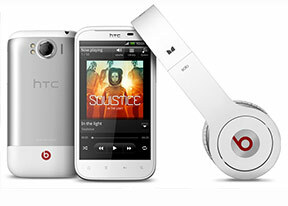 Today HTC introduced the second member of its Beats droid family, making both geeks and audiophiles tremble with excitement. The HTC Sensation XL is one multimedia beast with its Dr. Dre-inspired audio, impressively spec'd camera and huge display and it's also keen to give users the proper smartphone experience with the tried and tested Gingerbread and Sense combo. Granted, the single-core CPU won't give you boasting rights with your geeky friends and screen density could be pushed a bit higher. But with this one it's not so much about having the best specs on the market - it's about having specs that make sense. It's a statement that the company values user experience over PR material. The Sensation XL processing power should be enough to handle 99% of the Android market apps seamlessly and even if it's not the best of multi-tasker around only a small portion of the users will actually feel the difference. So why not put something in there that everyone will see and appreciate - like a larger screen, for example. And if you happen to be among those in need of the ultimate processor, boy does HTC have the phone for you. But now we'd be focusing on the Sensation XL multimedia beast. Join us on the next page for our hands-on impressions, garnished with a load of live shots. Very very cute phone, fantastic look, speed & configuration. Where is the answer recorder of htc sensation?